I don’t know how many of my readers listen to John Gilbert’s daily talk show on Duluth’s local KDAL radio station (610 AM). John is the journalist that writes the best sports-related columns that I have ever read. Those sports columns appears every week in the Duluth Reader, which is where my Duty to Warn column is published; so we are colleagues. John is a wonderful radio interviewer who occasionally invites me to appear on his “The John Gilbert Show” when medical issues arise. The show is on every weekday morning from 9 – 11 am. It is archived at www.kdal610.com/podcasts/the-john-gilbert-show-podcast/). This morning (8-16-16), just before I was about to begin writing this week’s column, John called and asked me to appear on the show to give my medical opinion about the dramatic recovery of dementia victim Kris Kristofferson, the legendary singer/song-writer who had been erroneously diagnosed with incurable late-stage Alzheimer’s dementia (of unknown origin). John had seen Kristofferson perform onstage with Merle Haggard a year or two ago when he was obviously seriously demented (although still able to remember the lyrics of his own songs). And then, just recently, John again saw Kristofferson perform in a solo concert when his dementia symptoms had completely disappeared! Reader publisher and editor Bob Boone graciously provided the $70 dollar tickets for John and his wife Joan. 5- Bed Sores Stage 4- down to the bone . 8- Both Rotary Caps in both shoulders were turned where they dropped him.. 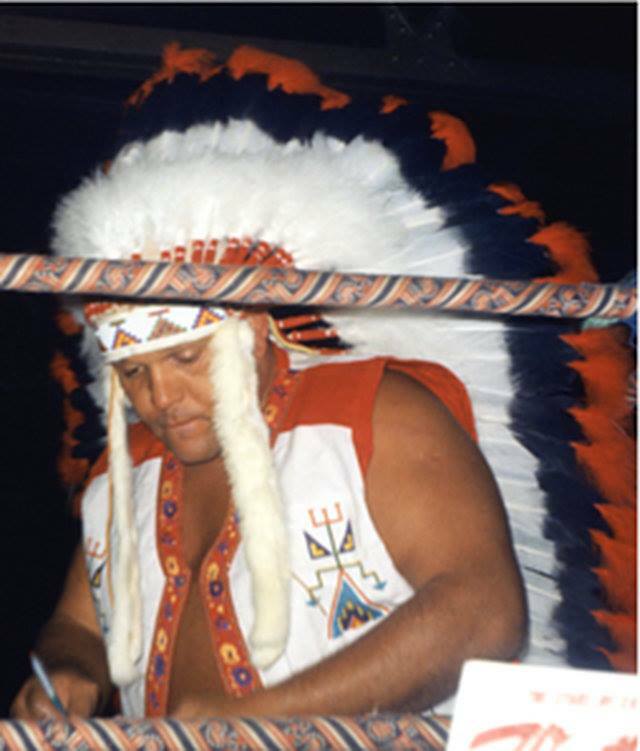 Description on YouTube : Former Pro Wrestler Chief White Owl -from WWF now WWE- aka George Dahmer was severely neglected in a nursing home back in Feb 2008. Wife- Patricia of Chief White Owl aka George Dahmer WON the Wrongful Death Suit in Nov -2012. Guilty on All Charges. The nursing home lost the 3 Appeals for Punitive Damages. Chief’s Wife- Patricia was MANDATED to pay 50% of the Punitive Damages to Help Improve The Quality of Care In Nursing Homes!! Didn’t find out till almost 7 years later. The Jurors whom awarded the money didn’t even know. Is this Total Justice for Wrongful Death’s Victim’s Family to pay 50% of the Punitive Damages to Help Improve the Quality of Care in Nursing Homes? FS 400.0238 Punitive Damages Limitation & FS 400-0239 Quality of Care of Long-Term Care Facility Improvement Trust Fund. Please Contact Florida Legislators to REPEAL these 2 Florida Statutes and REFUND The Chief’s Wife-Patricia.. It’s the right thing to do. Thank You!! Life, Liberty, and Justice for ALL!! 2- https://www.causes.com/actions/171164…PETITION- Chief White Owl’s Law Stop Nursing Home Abuse and Neglect- Stricter Laws and Harsher Penalties for Nursing Homes..
New BOUGHT Documentary reveals insidious truth behind Vaccines, GMO’s & Big Pharma. 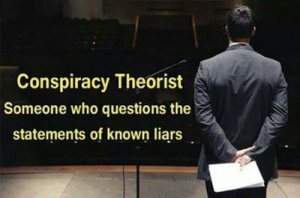 Friends: I just watched the new documentary “Bought”, which dealt with the amoral, politically powerful and obscenely wealthy for-profit corporate entities (in the BigPharma, BigFood, BigAgriculture, BigChemical, BigMedicine, BigMedia sectors) that are behind the American epidemics of chronic illnesses “of unknown origin” (like dementia, Parkinson’s, autism, obesity, asthma, diabetes, rheumatoid arthritis, fibromyalgia, inflammatory bowel diseases, learning disorders, adhd, colony collapse disorder, vaccine injuries, pesticide/herbicide-mediated illnesses, GMO food-mediated illnesses, drug-induced illnesses, etc). The incidence of chronic childhood diseases caused by vaccine injuries, toxic (and nutritionally depleted) foods, toxic air, soil and water, toxic chemicals and toxic prescription drugs in our fully-vaccinated American children is approaching 50%!!! 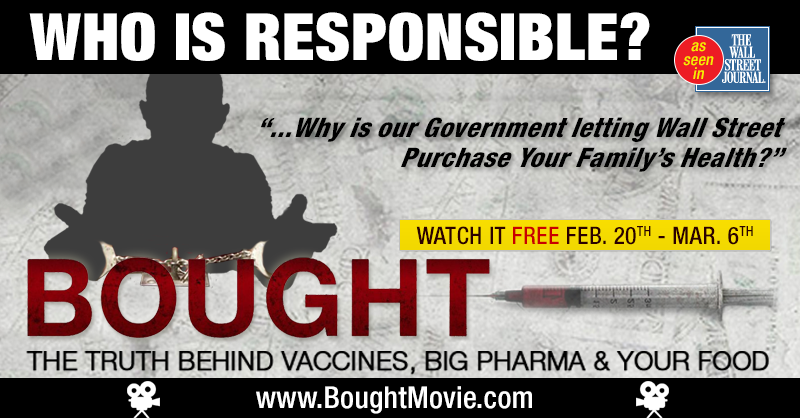 America cannot long sustain – just from a financial perspective – the increasing catastrophic trends revealed in this film, but the deaf, dumb and blind, lobbyist-infiltrated US Congress in DC is currently planning to pass BigPharma-written legislation to make mandatory every untested-for-efficacy-and-safety vaccine mandated by the equally corrupted-by-industry CDC and FDA – all thanks to the ever-present billionaire captains of industry who are their paymasters who bribe them with campaign “contributions” and other perks. All those vulnerable children who have been made chronically and incurably ill (and thus permanent patients) by those big businesses listed above will be under the chronic care of physicians who will, because they can’t bring themselves to admit that they have been and are currently still part of the problem, continue poisoning these victimized and permanently disabled patients with more vaccines and drugs through their adolescence, adulthood and early deaths.